What is a great company culture made of? Sugar and spice? Or puppy dogs tails? Sounds too easy to be true. In reality, company culture is a happy mixture of different people, business models, management practices, customs and habits, values and origin stories. Company culture changes over time. It adapts to the company’s strategy and evolves with the employees. Company values and business strategies form the basis of a strong culture; it is also essential that your company’s vision and goals are promoted every day in practice. Why does our organisation exist? How can we have a positive impact on our company culture? While building great company culture, nothing is as important as management that recognises its significance. According to studies, good company culture improves business performance and contributes to building a more efficient, innovative working environment. This alone should be enough to motivate company management to invest in sound company culture. Finland ranked first in The Good Country Index. The Good Country Index measures 153 countries on their total impact on the planet and what they do to contribute to the common good of humanity. 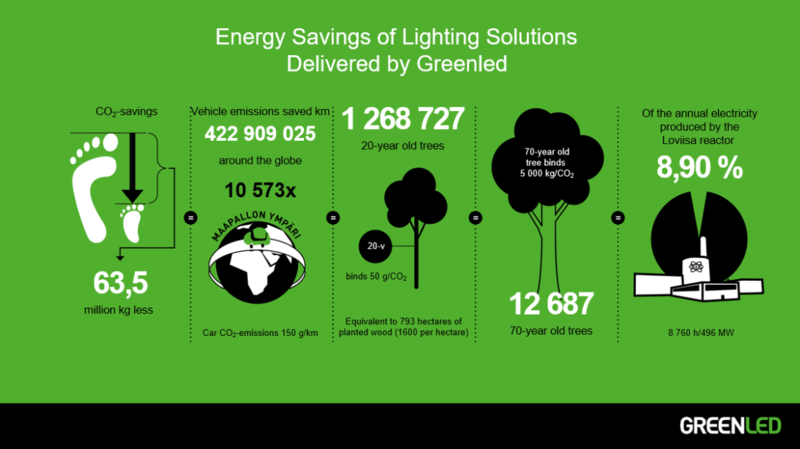 So far, Greenled has helped our customers save a volume of energy that is equal to 63.5 million kilos of carbon dioxide. That’s as much as 8.9 % of the annual production of the nuclear plant in Loviisa or 10,573 trips around the globe in a car. We are proud to say that our work matters – literally. From the start, our company has attracted people who personally value the environment and sustainable development. Every year we become better at finding solutions to our customers’ problems. We learn to listen and understand their needs better. Sustainable development is our core principle during our product design, manufacturing and installation. Every Greenled employee is somehow unique. So, what does it mean to be unique? It means sharing our values: customer orientation, responsibility and expertise. It means inspiration, passion, motivation and will to develop; positivity and humour together with dedication to succeed, all mixed together just right. We communicate openly and get along well with each other. We genuinely want Greenled to be a great place to work, and the only way to make that happen is to work together. Everyone should be allowed to be themselves. A sense of humour and team spirit are our greatest strengths. We firmly believe that positivity creates positivity. I think we’re all a little hooked on the Greenled spirit! There are many ways to demonstrate how important our employees are to us. Everyone here has an important part in Greenled’s success story. We trust each one of our employees to do their best to reach that common goal. In order to be really and truly free, every individual must work towards one goal. Take care of yourself and your team. Take responsibility and keep in mind the customer-focused goal. Dare to talk and to listen. 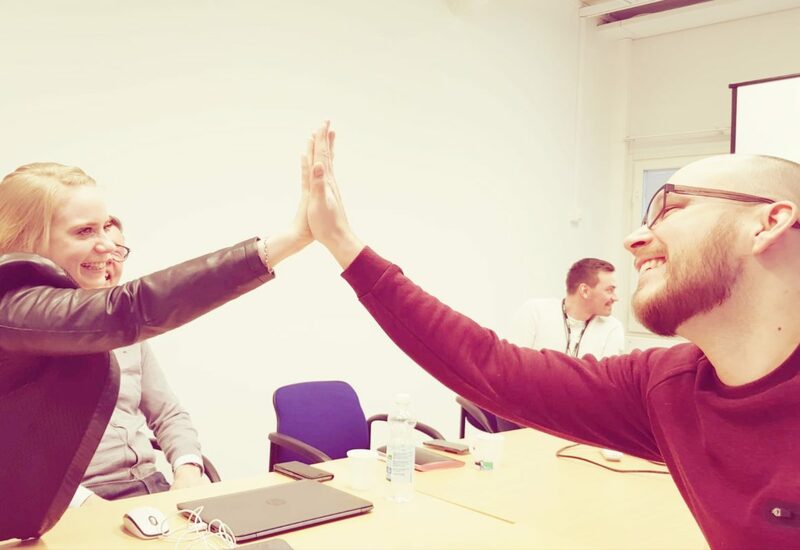 In order to build a stronger company culture, we chose to collaborate with the Great Place to Work organisation three years ago. Great Place to Work has helped us build a successful company culture. In our company, development goes hand in hand with everyday processes, and we are constantly aiming to improve our strategies and methods. Thanks to Great Place to Work, we have learned to pay attention to the right details, which has allowed us to significantly improve our company and our processes. As a result, we work together to conduct better business, create better jobs and build a better society. A good place of work has reportedly fewer absences, lower staff turnover, more job applicants and better customer satisfaction. It feels great to be acknowledged for the great development work we’ve done. 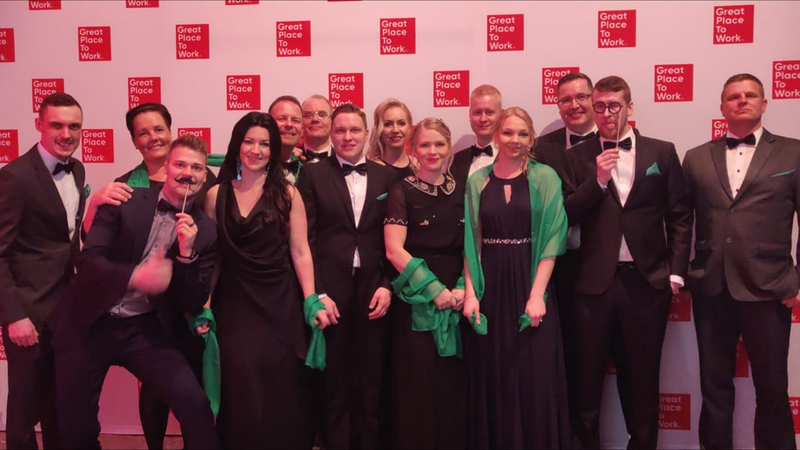 Yesterday at the Great Place to Work Finland 2019 gala we were delighted to hear that we ranked 11th. 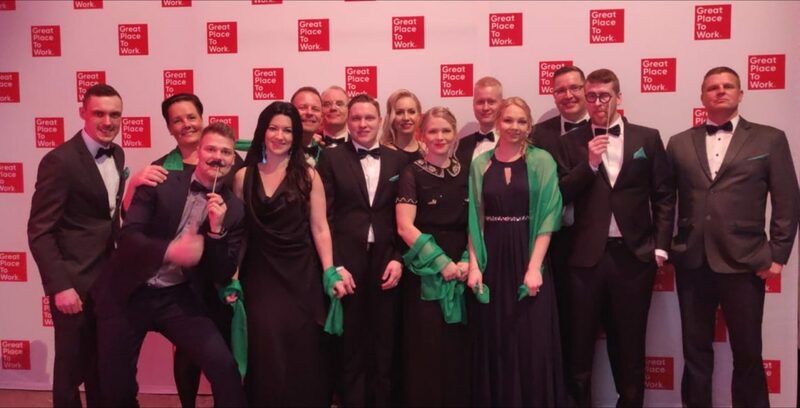 It’s clear that we are moving in the right direction, and that all 120 members of the Greenled family in Kempele, Vantaa, Tampere and Trollhätten love working with us. Together we can make our dream come true: one Greenled for everyone. On our way to the top, you matter: Thank you!